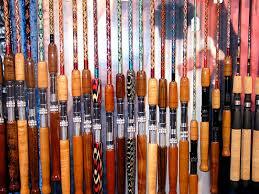 It can be difficult to decide how to choose a fishing rod. The first thing I would consider is what type of fish do you want to catch. I like to use a fishing rod that is medium weight. This way it is flexible enough for the smaller crappie and pan fish and it will still hold up if I get a good bass on the line. If you are fishing for crappie or other pan fish, you want to use a lightweight fishing rod that is easy to manage. You can cast and retrieve with ease and you are most catching smaller fish that don’t fight too much. For bass you may want something a little heavier as they tend to give you pretty good fight and you can catch some bass that are 5 to 10 pounds. So you definitely want something that will hold up. When it comes to catfish you want to get a good stout rod that can pull in those 20 plus pound big cats! You really should consider where you will be fishing from. If you are on the bank you may consider a different rod than if you were out in a boat or possibly even on a dock. Also, are you fishing salt water or fresh water? Are you in a stream or fishing a lake? The longer, more flexible rods are good if you are on the bank and need to cast farther out. If you are boating you might want to go with something a little shorter, since you shouldn’t be casting as far away, being you are already on the water. When in a stream or river it really depends on preference but you usually need something flexible to cast down stream. Salt water fishing is a bit different. While you can use the same rods for salt water, it’s best to get a good surf rod if you are fishing from the beach. They are a lot longer and allow you to cast farther away from the shore. If you are on a pier or dock, you can use the shorter, stouter salt water rod that is best for the bigger salt water fish. Everyone likes to know the “best” fishing rod, or best bait, best time of day, ect. However, the great thing about fishing is that there are no real secrets. Go out there and have fun. 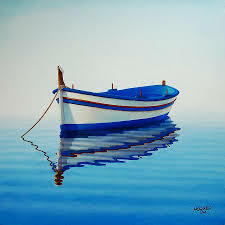 Cast your line into the water and see what happens. The only “secrets” are the ones you come up with. Each angler has his or her favorite fishing spots, time of day, rod and reel and many other things they like to choose when they go fishing. 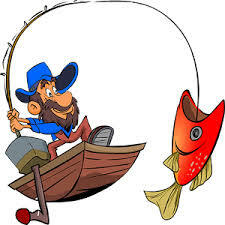 Some people will only fish with a particular rod because it’s their “lucky” rod. So find your own lucky rod and catch some fish. So, what is your go-to fishing rod? Let me know in the comments below. Until next time… Gone Fishing! Thanks for the tips Hans. I miss fishing in rivers and small lakes for trout. I moved to Vancouver Island and here salmon is king. What kind of rod is used for those fish? I know the nets are much bigger. Hope you caught nice fish. I appreciate the comment Nicole. Trout fishing is a lot of fun. I’ve not been salmon fishing yet but you would need to have a good salmon fishing rod. Those are some big fish and you will be in for a fight! Ugly stick makes a really good salmon rod. It’s specially designed for salmon with a graphite inner core and outer layer of e-glass. Maybe you will get to do some Salmon fishing! Good luck! These are some very good tips on choosing the right fishing rod! Some of them are things I wouldn’t have thought about, so thanks for sharing! Thanks Dan, I hope they help people find the best rod and have some fun fishing! Next Next post: Places To Fish In Tulsa – Look What I Found!